TAHMO has won the Global Resilience Challenge to develop a meteorological early warning system in Uganda to acute climate-induced shocks. 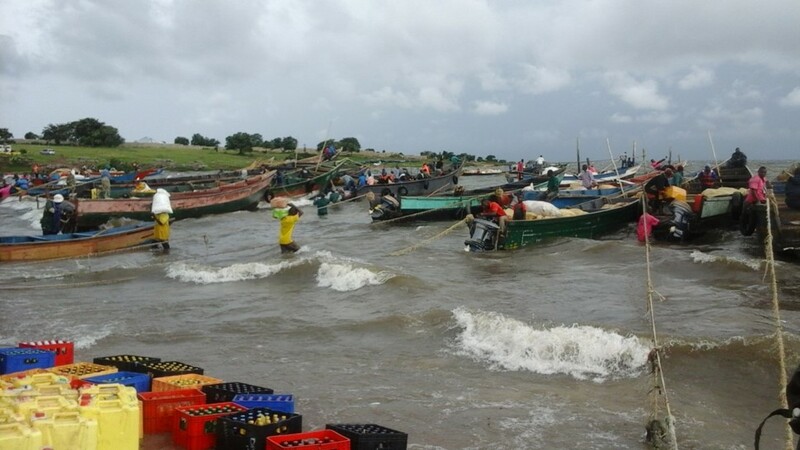 Over the next two years we will implement an early warning system in Uganda to give critical warnings to fishermen on Lake Victoria, where 5,000 people drown annually due to severe weather. Climate change is impacting the frequency and severity of severe weather events with residual effects the lives and livelihoods of people in developing countries who lack the capabilities and infrastructure to cope with these climate-induced hazards. National Meteorological and Hydrological Services (NMHS) in the Horn of Africa region struggle to provide sufficient early warning and timely, accurate weather information in advance of disasters. Impactful adaptation measures to enhance resilience to these acute shocks must be undertaken. A complete end-to-end solution: Weather information will flow from our network of stations all the way down to millions of vulnerable fishermen and smallholder farmers in Uganda. Scalable: Immediately after the launch, all 16 million+ mobile phone owners in Uganda will have on-demand access to weather information and all 8 million Airtel subscribers will have free access. As importantly, the partnership model we have with Airtel in Uganda is replicable in every other African country. Sustainable: Our solution will continue to operate, independently of donor funding, for the foreseeable future. Impactful: The partners in our consortium have a proven track record at delivering services that have measureable financial and social impact. TAHMO develops the system together with Earth Networks, African Centres for Lightning and Electromagnetics (ACLE), Climate Change Adaptation Innovation (CHAI), and Human Networks International (HNI). The Global Resilience Partnership, is convened by The Rockefeller Foundation, USAID, and Sida.